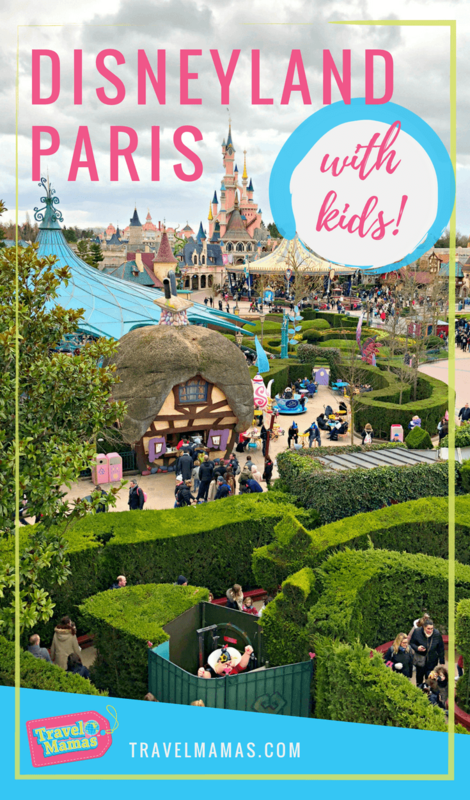 The only thing that could make a family vacation in Paris even more dreamy is adding a trip to Disneyland Paris with kids! Children may tire of too many museums and monuments. After a few days of exploring French history, culture, history, and art — there’s something so exciting yet comforting about Disneyland Paris. A Disneyland Paris visit provides an opportunity to play and let kids be kids. Plus, it’s fun to notice the similarities and differences between this French park and its American counterparts. 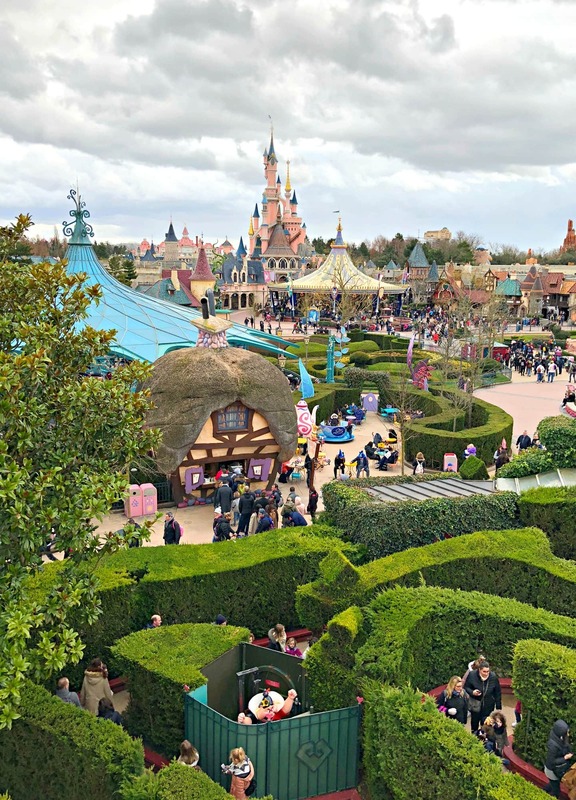 Here’s what you need to know before visiting Disneyland Paris with kids. Disneyland Paris vs. Disney in the U.S.
Disneyland Paris consists of two theme parks — Disneyland Park and Walt Disney Studios Park. They are situated right next door to each other, making it easy to hop from one park to the other. The great news? Entrance tickets are about 25 percent less expensive than in the U.S.
Disneyland Park in France is similar to the Magic Kingdom in Florida or the original Disneyland in California. Visitors will enjoy familiar attractions like Dumbo the Flying Elephant, Buzz Lightyear Laser Blasters, Big Thunder Mountain, and Blanche-Neige et Les Sept Nains (Snow White and the Seven Dwarves). Meanwhile, Walt Disney Studios Park compares to Disney California Adventure Park in Anaheim or Disney’s Hollywood Studios in Orlando. Expect such attractions as the Twilight Zone Tower of Terror, Cars movie rides and Rock ‘N’ Roller Coaster starring Aerosmith. While you can find plenty of Disney attractions similar to those in the U.S., there are unique finds in the Disneyland Park in Paris. For instance, Alice’s Curious Labyrinth is a playful hedge maze filled with statues and animatronics perfect for snapping selfies to post to your Instagram account. (Worry not, parents, it’s pretty easy to keep an eye on young children here since it’s not a true hedge maze.) 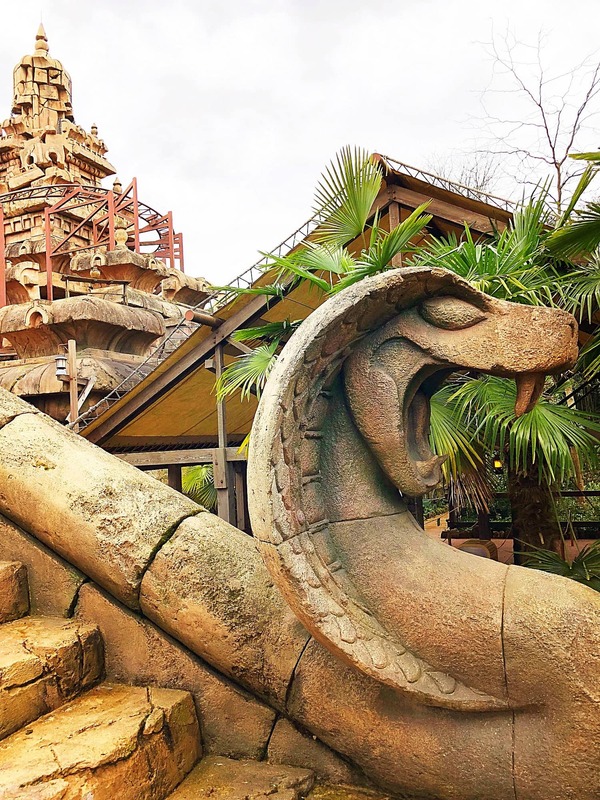 Also, below the park’s particularly stunning castle lies la Tanière du Dragon (the Dragon’s Lair), a walk-through exhibit with an impressive animatronic dragon resident.
. Motion sickness sufferers (like me!) may need to close their eyes for portions of the ride. Other unique attractions at this park include Crush’s Coaster (a spinning Finding Nemo-themed coaster ride), Cars Quatre Roues Rallye (a ho-hum version of the more exciting Mater’s Junkyard Jamboree in Anaheim), and Studio Tram Tour: Behind the Magic (a faux Hollywood backlot tour similar to the ride that once resided in Orlando). After each ride, my kids and I enjoyed comparing and contrasting the American and French versions of the same attraction. For example, we all agreed that the newer ‘it’s a small world’ in Paris outshines the old school California attraction with its updated animatronics and seamless displays. 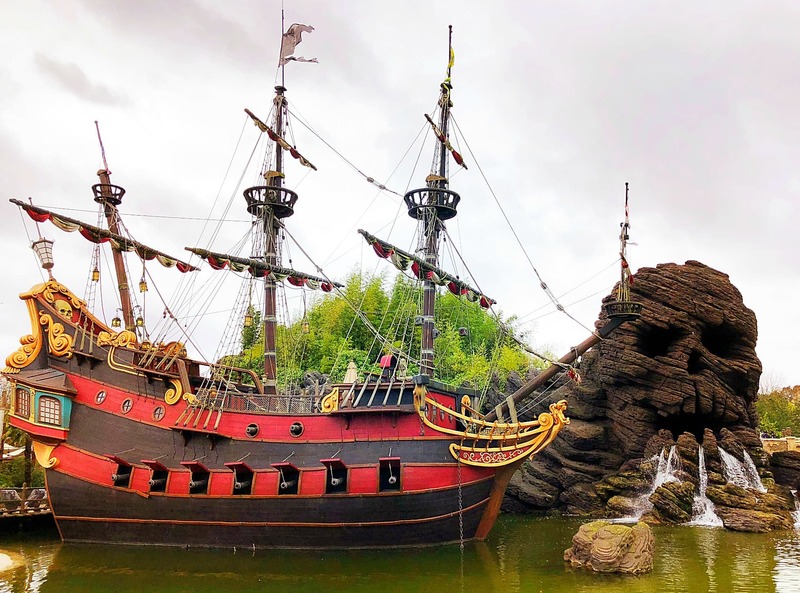 And while Paris’s Pirates of the Caribbean is pretty dang similar to the American versions, the outdoor Skull Rock makes for impressive photo ops, mateys. Some attractions were significantly different from what we’re used to seeing at home. Indiana Jones and the Temple of Peril in Paris, for example, is an outdoor roller coaster, whereas the California attraction is a rollicking indoor journey focused more on theming than speed. Meanwhile, Star Wars Hyperspace Mountain has way cooler special effects than the Space Mountain rides in the U.S. with riders feeling like true (French-speaking) rebel alliance spaceship captains. Be forewarned, though, that it’s a much more thrilling ride with loop-the-loops and those over the shoulder harnesses. Space Mountain is my all-time favorite amusement park ride but the Parisian version gave me a headache. Both my kids, however, deemed it the best Disney ride ever! We visited off-season in March, which meant that we enjoyed shorter lines than summer or holiday visitors. Unfortunately it also meant that many of the sit-down restaurants were closed, and quick service options were in short supply. Additionally, while the American Disney parks offer a bounty of healthy snacks to eat like veggies with dip or fresh fruits, the only snacks we could find at this park were sugary pastries and ice creams. Also, as a gluten-sensitive eater, I found it somewhat difficult to find foods to eat here. Food pricing was much higher in Paris than in the U.S., too. 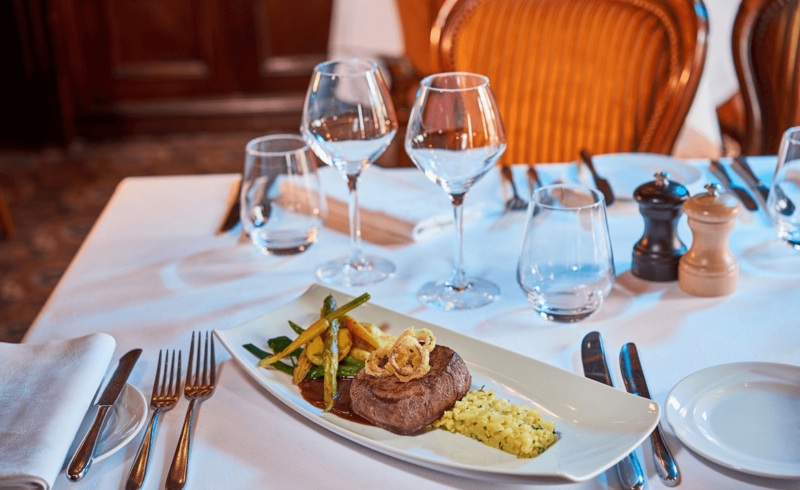 If you are willing to splurge, the high-end restaurants at Disneyland Paris get rave reviews. Inventions, which overlooks Main Street USA from the Disneyland Hotel, gets the highest marks on TripAdvisor of any restaurant at Disneyland Paris. If you’re craving the flavors of home, book a table at Walt’s – An American Restaurant. Your best bet is to book in advance. If you want to make dining reservations while at Disneyland Paris, you can stop by the restaurants. You can also pop into City Hall at Disneyland Park or Studio Services at Walt Disney Studios Park, where a cast member will let you know which restaurants have availability in the parks, hotels and Disney Village entertainment district. When I came to Disneyland Paris for the first time in 1994, just a couple years after it first opened, I was an American foreign exchange student living in France. I loved finding a little slice of Americana in my newly adopted country. Your kids might also feel comforted by the familiar, friendly feel of Disney after a few days of all things new and exotic in France. 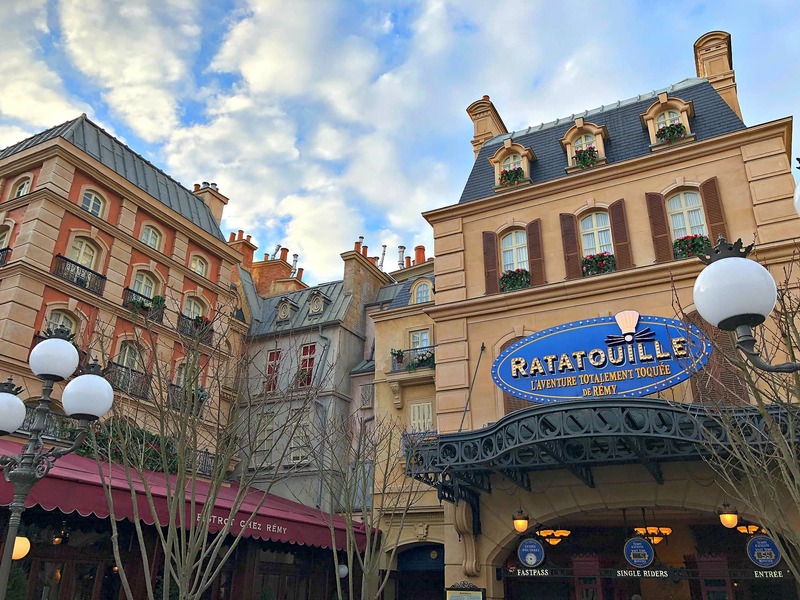 Of course, Disneyland Paris still feels distinctly European with French-named attractions, foreign cast members, and that French je ne sais quoi. To fully experience both theme parks, I recommend spending at least two full days at Disneyland Paris with kids. There are seven Disney hotels on site, ranging from the luxurious Disneyland Hotel to Davy Crockett Ranch, where guests stay in woodland cabins. Each hotel is themed to represent a particular region of the United States. Resort guests enjoy perks such as Extra Magic Hours (to enter the parks before non-hotel guests) and shuttle bus service. There are many other non-Disney hotels in the area as well. Take a look at the highest ranked Disneyland Paris area hotels on TripAdvisor. Just outside the theme parks’ gates, Disney Village is a shopping and entertainment complex similar to Downtown Disney at the original Disneyland or Disney Springs at Walt Disney World. Disney Village offers a selection of cafés and restaurants including chains such as Rainforest Café, Planet Hollywood and Starbucks, as well as Disney-owned dining options. This area also boasts a number of entertainment options like Buffalo Bill’s Wild West Show…with Mickey and Friends, live music, a sports bar, a movie theater, and even a giant hot air balloon. Disneyland Paris is located about 40 minutes outside the city in the suburbs of Paris. Thankfully, this amusement park is easily accessible by RER train. Trains depart from these stations within Paris: Charles de Gaulle-Etoile (near Arc de Triomphe), Auber (at Galeries Lafayette shopping center), Chatelet les Halles, and Gare de Lyon. You can reach any of these stations from connecting Metro subway lines. A regular Metro ticket will not suffice, however, because Disneyland Paris is located in Zone 5 outside of the city. Just be sure to purchase a train ticket that takes your family to Marne-la-Valle Chessy (RER Line A). The electronic machines in the train stations make purchasing tickets pretty easy and non-intimidating. Paris’s Metro system is easy to navigate and one of the best in the world. If you’d rather not hassle with trains, you can purchase bundled Disneyland Paris tickets and bus transportation from PARISCityVision. No matter how you get to Disneyland Paris, I’m sure this theme park will add some extra magic and memories to your family vacation in France! If you’d like some hand-on assistance and expert advice in planning your family’s vacation in France, we recommend booking with our partner travel agency, Ciao Bambino. To get started, click the graphic above to fill out a simple online form. Looking for additional things place in France to visit with kids? Check out the 10 best destinations in France for families recommended by family travel experts. Would you like to visit Disneyland Paris with kids? Let us know in the comments below! 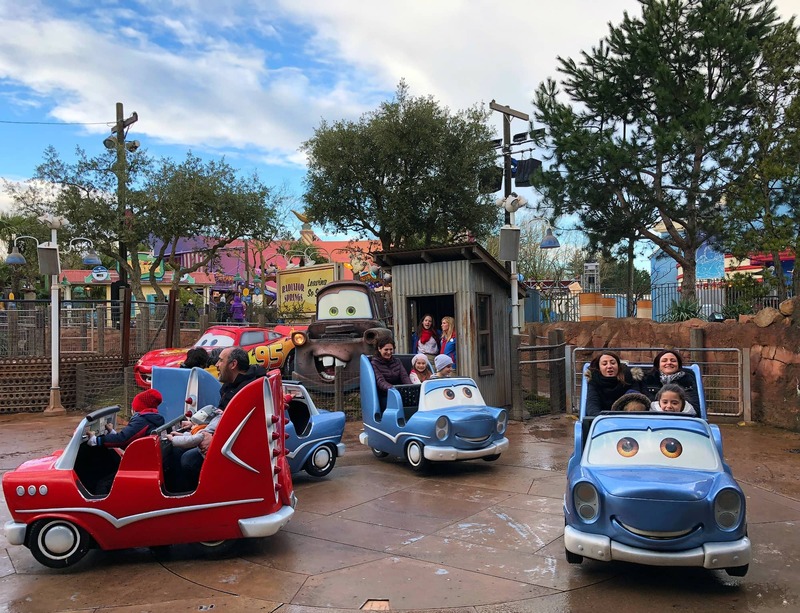 A Note from The Travel Mama: I received two complimentary Disneyland Paris Park Hopper tickets for purposes of this story. Travel Mamas did not receive any monetary compensation related to this blog post. The Animal Loving Travel Mama did not receive any media rates or comps for her hotel stay. All opinions are mine, as always. Oh Yay! We plan on going at some point- and to be honest I had zero idea what it was like. We just experienced the Magic Kingdom and my boys are hooked. Great advice. Any idea when their peak might be? I see that March was great for you! Farrah, we were only there the one day but I got the impression that it was far less busy when European kids are in school. I believe most European schools have a half-term break in the fall, Christmas vacation as well as an Easter break and families tend to do most of their school year traveling during those substantial breaks. In order to avoid the big crowds, I would avoid weekends, school breaks and summer holidays as those are bound to be peak times. I’m sure your kids will love it! The one thing that you should be prepared for with small kids that have visited Magic Kingdom is that character greetings seem to be less organized in DL Paris. Most of the characters were just walking around and being swarmed by kids and parents trying to take pics. Winnie-the-Pooh was the only character that we met because there was an organized line and kids taking turns to meet him. The chaos surrounding the other characters that we saw just wasn’t worth it. HA! I see I’m revisiting my earlier question. Thanks again for this post, it is a good starting off point for planning. Great article Lisa! Whenever I think of Disney Paris, I always have to wonder how Disney was able to acquire so much land, in of all places, Paris. Even in the suburbs I have to think the area is pretty densely populated. Disneyland Paris is not in the city proper but in Marne-la-Vallée, which is around 12 miles (20 km) east of the city. The town was only founded in the 1960s. I guess it had just been farmland prior to then. I’ve never been to the Disneyland in Paris and I didn’t know it was this awesome! There’s plenty of things to look forward to when you’re going here and I just love that there’s plenty of things to do for the kids! I thought maybe it was silly to plan a trip to Disneyland since there is so much else to explore in Paris but it really was such a fun addition to our vacation! We were there a couple of years ago and couldn’t have loved it more! We’re planning to go back maybe the next year! It’s always so worth it and it’s one of my most favorite Disney parks! Even more than California’s! I loved that it was less crowded than the California park – we were able to squeeze in SO MANY RIDES! I never thought to take in the park if I ever got to Paris but it seems like it is a great mix of familiar and a new twist on the Disney parks. I have not planned a Europeon trip but this is another reason to go. 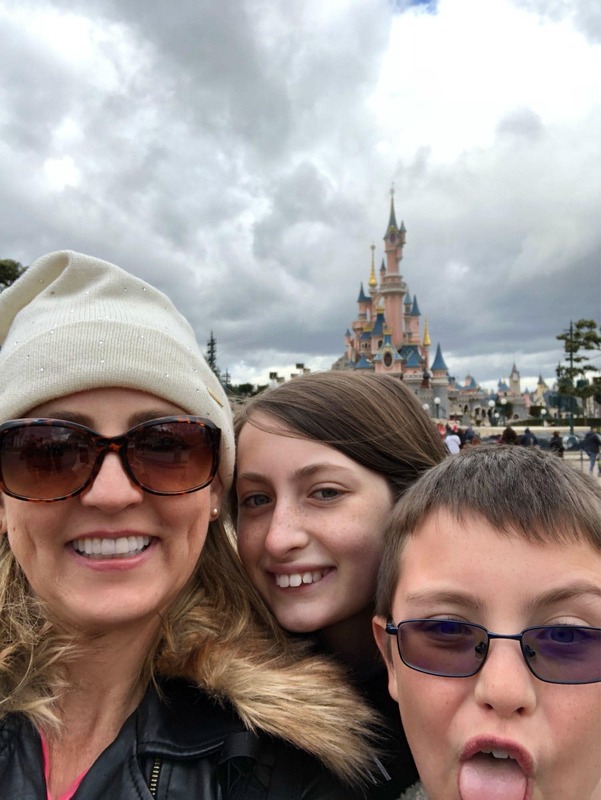 A day or two at Disneyland Paris really does add another layer of fun to a Paris trip with kids. Highly recommend! My sister was there within the last year and loved it. We have only been to the 2 US parks, but hope to get here someday. Glad to hear your sister enjoyed Disneyland Paris. I hope you can go someday so you two can compare notes! I had no idea there was a Disney Park in Paris! It looks like you guys had a blast! Disneyland Paris is actually celebrating its 25th year since opening this year! This is sure one (more) good reason to add Europe on the travel planning. Thanks for post, loved reading it! I went to Disneyland Paris back in 2007. It was a good experience but my heart will always be with Disney World in Florida! I hear you. I have a special place in my heart for my “home” park, Disneyland in California. That is awesome. As a Disney fan, I’m embarrassed to say I didn’t know about Disney Paris! Oh Cinny, I bet you’d love Disneyland Paris! They are actually celebrating their 25th anniversary this year. I don’t think I will ever be able to make it back to Disney World thought I would love, but I think Paris maybe somewhere I could go as it isn’t so far! I’m going to have to work on the other half. I hope you can convince your spouse that Disneyland Paris should be on your travel itinerary! Good luck! Wow, Disneyland Paris looks so fun! I have never been to any Disney park and had no idea this was even a thing! This looks and sounds like an awesome place.I am sure the kids will go crazy over this place. 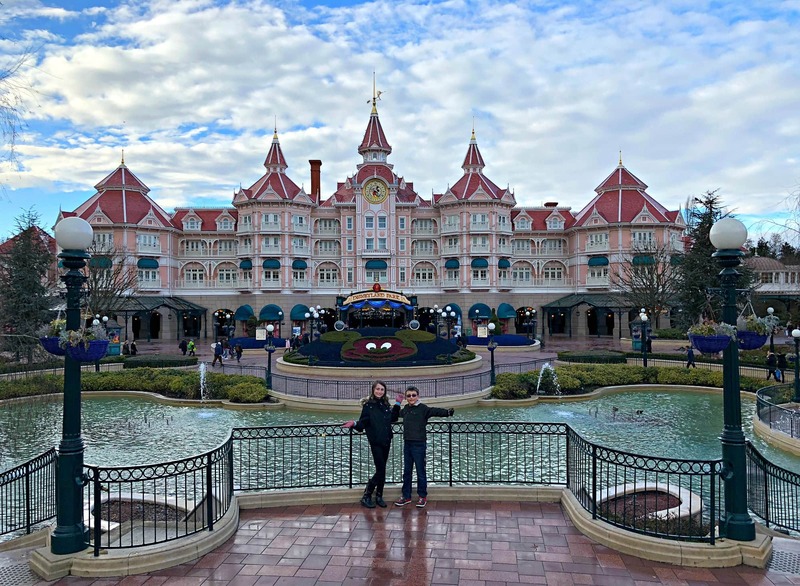 I am so glad we added Disneyland Paris to our France itinerary – my kids (and I!) loved it! It’s a dream of mine to visit them all! It sounds like Disneyland Paris features the touches of home I adore with new surprises also! Now the kids want to visit all of the Disney parks around the world…me too! Certainly. Kids are the happies when they get to experience Disneyland adventures! It was such a fun addition to our trip! This is completely full of Magic. If I ever go to Paris I would definitely go to DL Paris! I myself feel like a kid wanting to run in open space and looking at everything with wonder and awe. Disney brings out the kid in all of us, doesn’t it?! We are looking to go to Disney land Paris in two weeks…. would you recommend spending the extra money for a two day ticket, or buy a single day ticket without the option of hopping from one park to the other… in other words do you need to hop from one park to the other, or could you just spend a separate day in each? Hi Briony – Personally, I recommend just getting a one-day ticket for each park. That way you can focus on each park on its own without wasting time and energy walking between the two parks. Have a wonderful time at Disneyland Paris!